Packaging Dimensions 3.386 in. x 3 in. x 0.478 in. 1 answers What is the string spacing on this bridge? What is the thickness of the metal the bridge is formed out of? Is the material steel? Also, is the finish chrome or nickle plated? This is a chrome plated steel bridge. String spread is 2-1/8" (53.97mm), thickness, is 1.5mm. 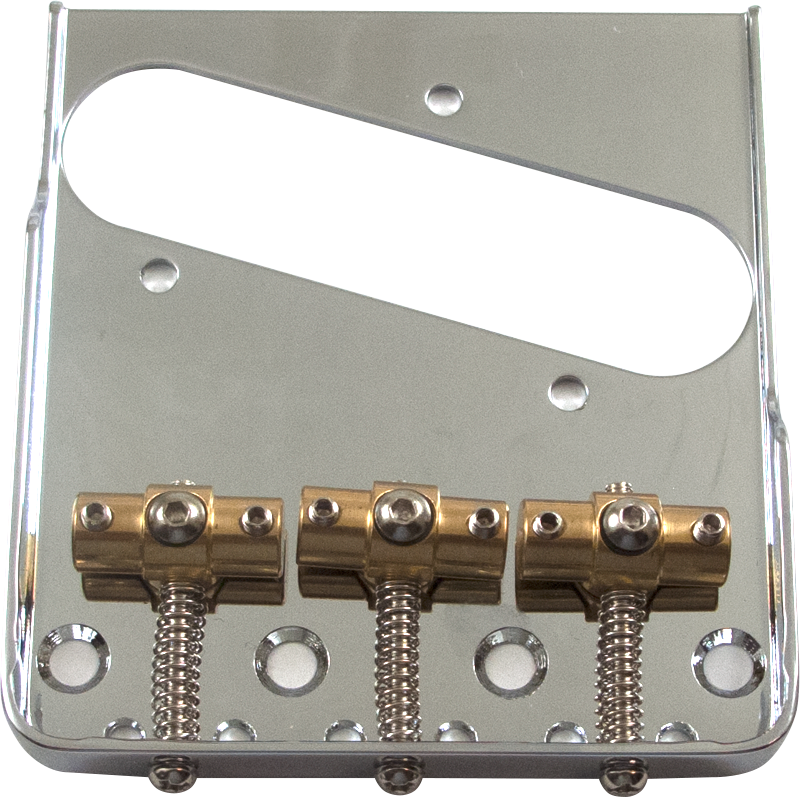 1 answers Do the bridge saddles pivot so the intonation can be accurately set for proper intonation? The bridge saddles do pivot to improve intonation.